BTW, what will happen to these scores since the TD´s and artas don´t have those exp modifiers anymore and gain a lot more points than they used to? What would you want us to do about them? We had no special plans for them, but suggestions can be taken and probably executed. Can you add those missing tanks so we can put scores on them. Like SU-100Y and G.W Tiger (P)!! Keep em but put the old scores in it's respective patch-category? Kinda lika an open archive. And have a highscore list for every major patch that changes the experience earned. It's a bit work, and half messy, but it's inclusive. Juha686: Just keep em as they are. 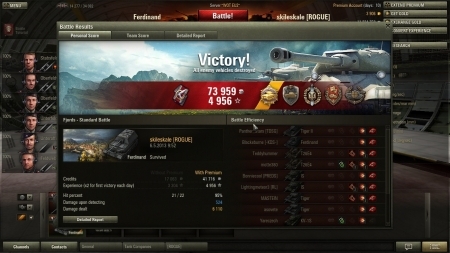 If scores are broken, they are broken, whatever WG does... What if there is nerf in scores? Does ingame stats change? Nope, they don't. Did they change with a buff? No, they didn't. 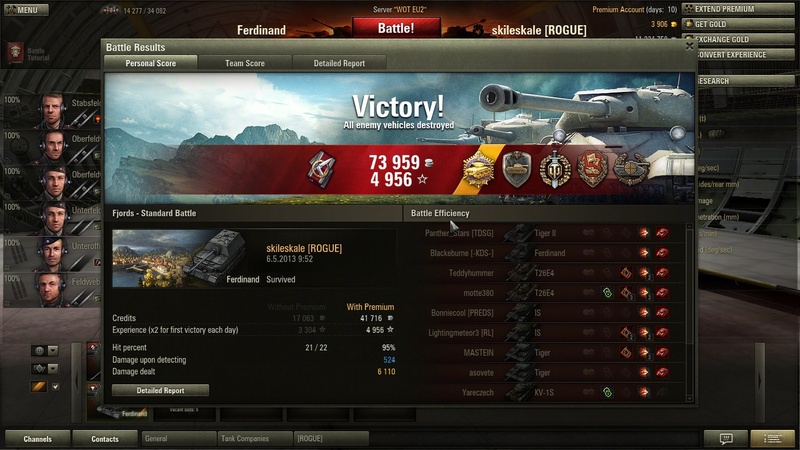 skileskale: Go argue with any VK28 or other light driver about nerfing their score... then come back to think about getting a buff on your score. A score is a score, if you can magically prove it being something higher, then be my guess. But any td exp is not the same as 33% increase that was given for only damage dealt. How to calculate exp from coefficient, proximity, spotting etc? I doupt no one can, thus only the score which is provable is valid and easier for the site itself. Nah, separation isn't good idea. Think about all the ~70 TDs which scores would be split... There is already some which are split and I don't think further splitting does any good for already long list.